Note: this is step 3 of a print / sinter / polish process. 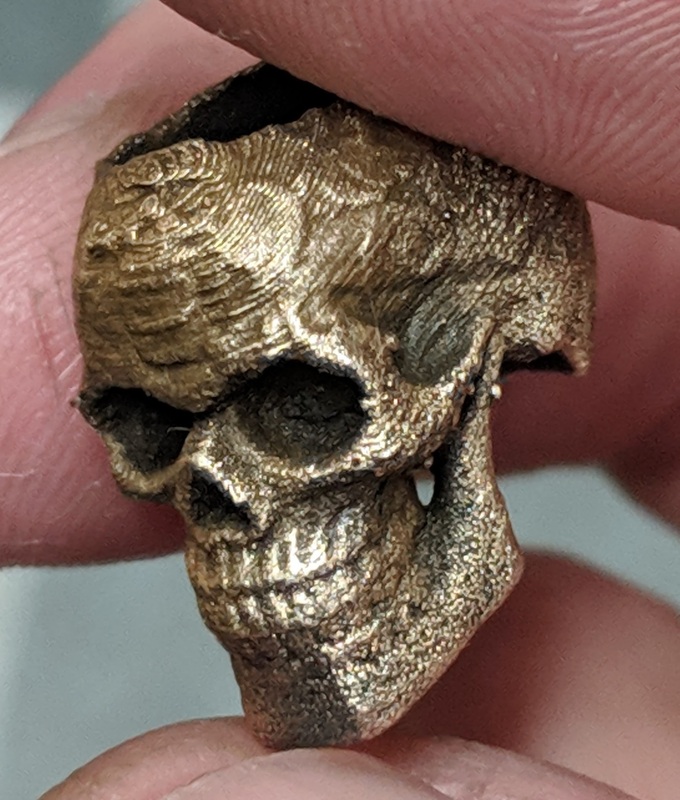 Now that you've successfully printed with "metal" filament, and possibly sintered a solid metal part, you want to make it look nice. These steps are generally chronological, but you can always go out-of-order or do a step again. If you do plan to sinter, I highly recommend a pass of trimming & shaping before the sinter, then further cleanup after. Note: this is an addendum to the 3rd step of a print / sinter / polish process. Solid bronze can be finished and polished to a bright luster, not unlike jewelry. It's a very hard, beautiful metal with some cool properties. It cleans up similar to metal-filled plastics, but there are a few steps specific to solid metals. tl;dr: pickle, brush, shape, tumble, maybe brush again, polish, buff, wax.